La Blender fondation a lancée un site pour le Projet Gooseberry. 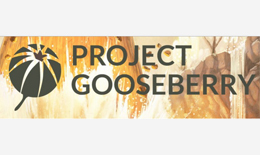 Le Projet Gooseberry est un Open Movie comme il en a été fait quelques uns depuis, comme big buck bunny, Sintel, Tears of Steel. A la différence que cette fois ci c’est un long métrage qui se fait par plusieurs studios de par le monde. Art direction: David Revoy. Studio producer is Oscar winner Nicolas Schmerkin. Founder and director James Neale – “Kajimba” fame – will coordinate the Australian unit. Wes Burke and Jonathan Williamson are building an animation studio now. Art director will be Kent Trammell. Art direction: Jonathan Ball (Pokedstudio). Last year’s Suzanne winner Chris Burton is on board as unit animation director. This studio is currently working on a feature film “Kiribati”. Here concept artist Alfi Zakchyelle will work with animation director Johan Tri Handoyo (OHA Studios) and a large team of Indonesian Blender artists. Art direction: Manu Jarvinen. Iron Sky’s Timo Vuorensola is available for unit-direction and advice. Paolo Acampora and Ivan Capiello surprised us last year with the NPR rendered “Skeleton Story”. Teisson Fróes – founder of OvniFX – will coordinate a large team of the best Brazilian artists. Well known Blender artists Daniel Salazar and Sarah Laufer established this studio. Pitchi Poy, Tel Aviv, IsraelThis studio makes commercials for large clients and currently develops a feature film as well: “Baldy”. Art director: Noam Meshulam. Here the feature film “Naughty 5″ is currently being completed. Art director: Pratik Solanki. Here’s the main production, by Ton Roosendaal (producer) and Francesco Siddi (production coordinator). Director Mathieu Auvray will work here, with a team artists and developers. Character designer: Pablo Vazquez. Portfolios of teams, links to websites, more names, and a lot more, will be following soon! Le but est donc de faire un long métrage de qualité et aussi de développer différentes features pour blender. -Turn-key setup of a large virtual company for temporarily collaborative projects by small studios. – Improve and validate Blender and popular open source tools (GIMP, Krita, Inkscape, LibreOffice) within collaborative studio environments. – Full statistics on usability and daily workflow for the entire project. Comme on peu le voir c’est assez ambitieux et blender y gagnera avec des outils de prod comme les assets management etc. vous pouvez suivre le sujet sur Blender Artist et suivre le projet sur son compte Tweeter.